Slinging.org Forum - Tutorial: Single strand split pouch . Bowline base. Slinging.org Forum › General › General Slinging Discussion › Tutorial: Single strand split pouch . Bowline base. Re: Tutorial: Single strand split pouch . 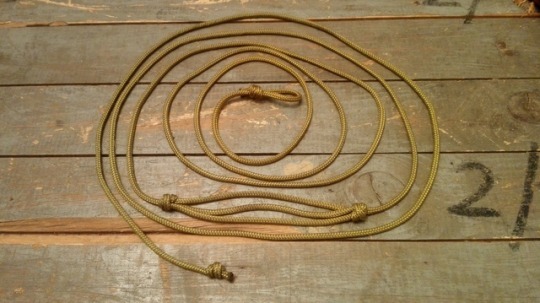 Bowline base. That looks like it , hope it works well for you !!!! I really like that. 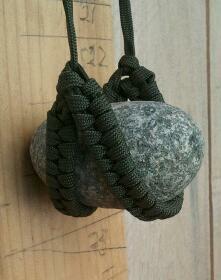 I've toyed with ideas for a single strand sling but never found a way that I really liked. I'm gonna have to try it. Mersa's is defintely the best way to make a "serious" one strand sling. 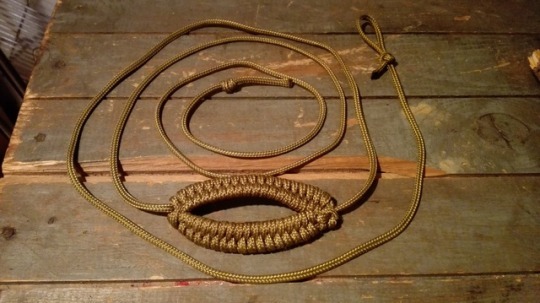 Easiest and quickest way is to make a single strand sling though is one of these which is practical enough but doesn't win any awards for durability or looks. Looks beautiful in green ! !